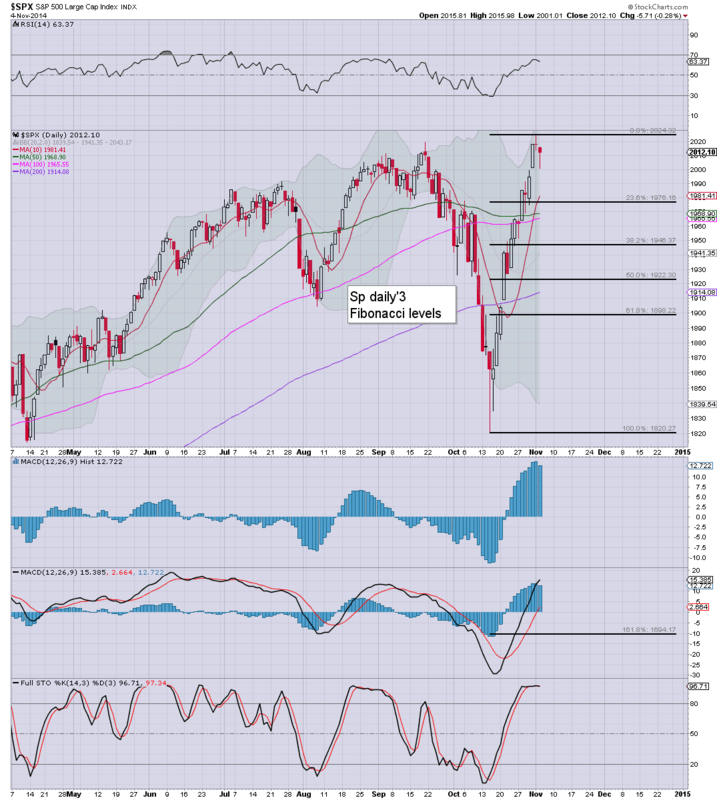 US equity indexes closed broadly higher, with the sp +11pts @ 2023. The Dow managed a new historic high of 17486. The two leaders - Trans/R2K, settled higher by 0.4% and 0.1% respectively. 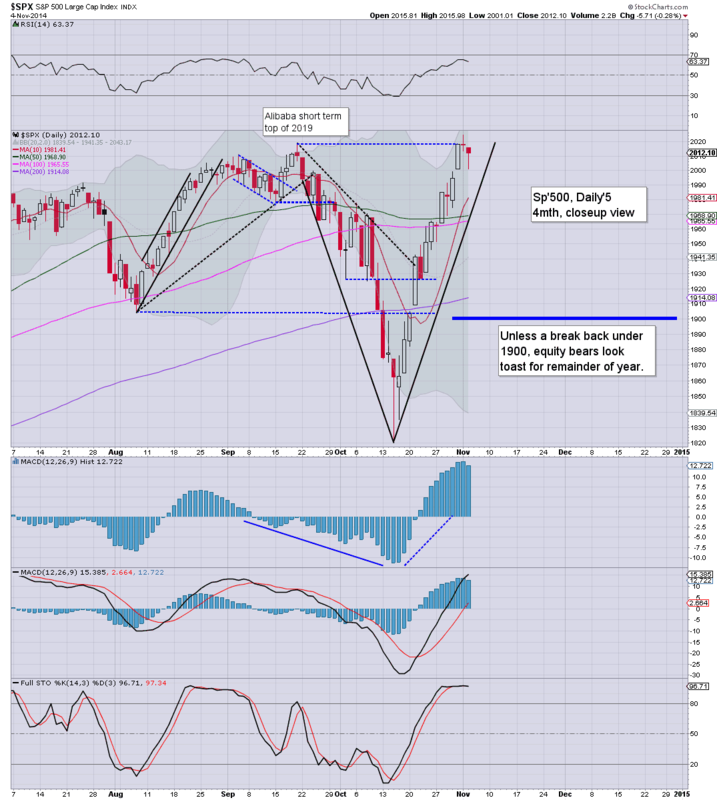 Near term outlook continues to offer a retrace... if only moderate to 1970s. *awaiting earnings from TSLA. Target downside $200... best case (over a few weeks.. $180). A pretty tedious day, not least with a new high in the Dow. 4.24pm... TLSA earnings.. mixed, stock swings to a low of $217, but then to the upper $240s. QCOM earnings, market not pleased, -5% in the $73s. Daily cycle rolling over. A full daily wrap at 8pm EST. Mr Market is awaiting a press conf' from King O', whom having lost control of not only congress, but the Senate, is now looking rather alone. 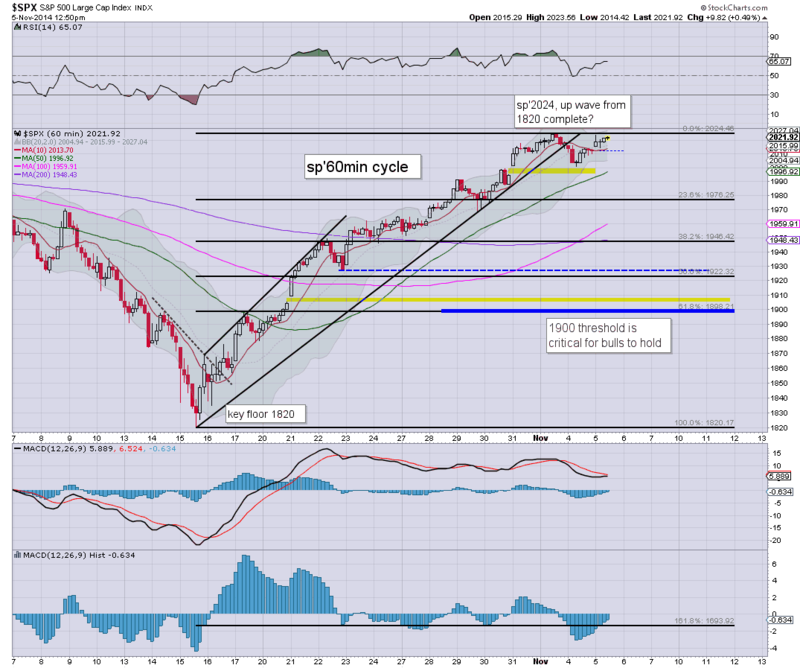 Meanwhile, equities remain relatively stuck in the sp'2020s, although the Dow is looking strong. ..awaiting to hear how despondent the leader of the 'free world' is. A fair few out there have been talking about the Dow 17500s for some weeks.. and price structure is offering an expanding wedge. Anyway...this is getting tiresome.. I'll be glad for the close. Notable weakness, miners, GDX -2%, whilst Gold -$20... trend remains much the same... headed for Gold $1000... just a matter of how fast. *awaiting an appearance from King O' at 2.50pm EST.. but then... he is usually late.. so .. lets call it 3.15pm.. yes? 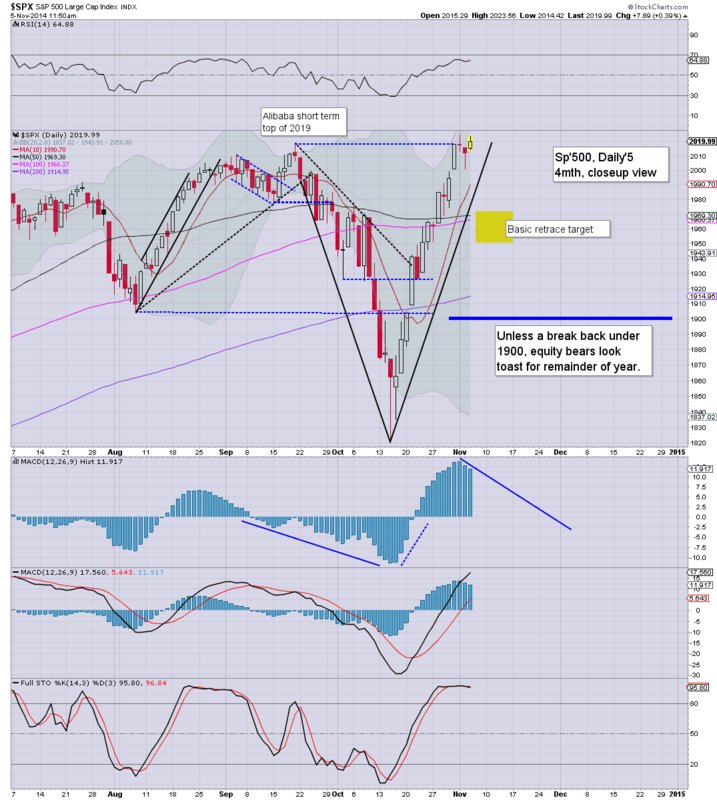 It remains choppy, but we do hava a valid double top on the sp'500. 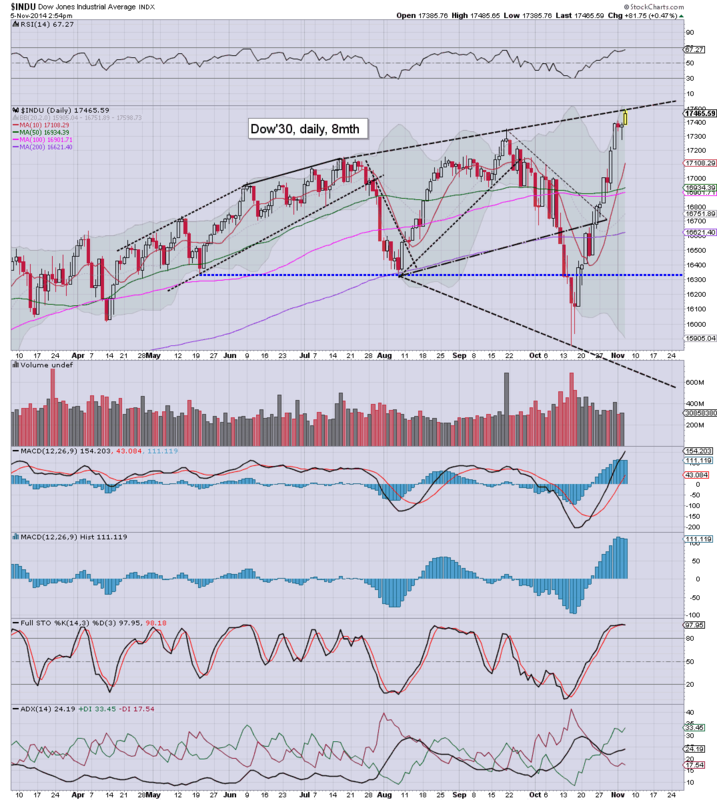 The fact the Dow broke a new historic high.. that is of course a strongly bullish issue... but hey... I'm trying to look at the collective of indexes... not just one! Eyes to the VIX, a close in the 15.50/75 zone would be suggestive of 17/18s by late Friday... along with sp'1980/70s. US equities see a minor up wave, and once again the sp'500 is close to breaking the recent 2024 high. VIX remains only a little lower, -1% in the mid 14s. Metals remain weak, Gold -$20, with Silver -3.1%. Yesterday's break of trend remains pretty important... but if we see 2025s.. then its a case of 2040/50 - as many out there have been touting. The real action is in the metals and miners. Not surprisingly, with Gold -$20, the miners are weak, although have been seeing sharp little bounces. US equities continue to hold moderate gains, although the sp'500 sure looks stuck under the recent high of 2024. With the VIX already having turned fractionally positive, there remains increasing likelihood of weakness into the late afternoon. As for downside retrace... a move to the 50dma.. around 1970 looks viable. At best.. maybe 1950, but the latter is of course completely not viable until next week. VIX update from Mr T... from a rather noisy trading floor. Despite breaking a new historic high on the Dow, the sp'500 failed to back it up.. and there remains a real threat of weakness for the rest of the week. Metals remain weak, but are bouncing from the lows, Gold -$17. The new high in the Dow is important to recognise, but the broader market... looks tired. 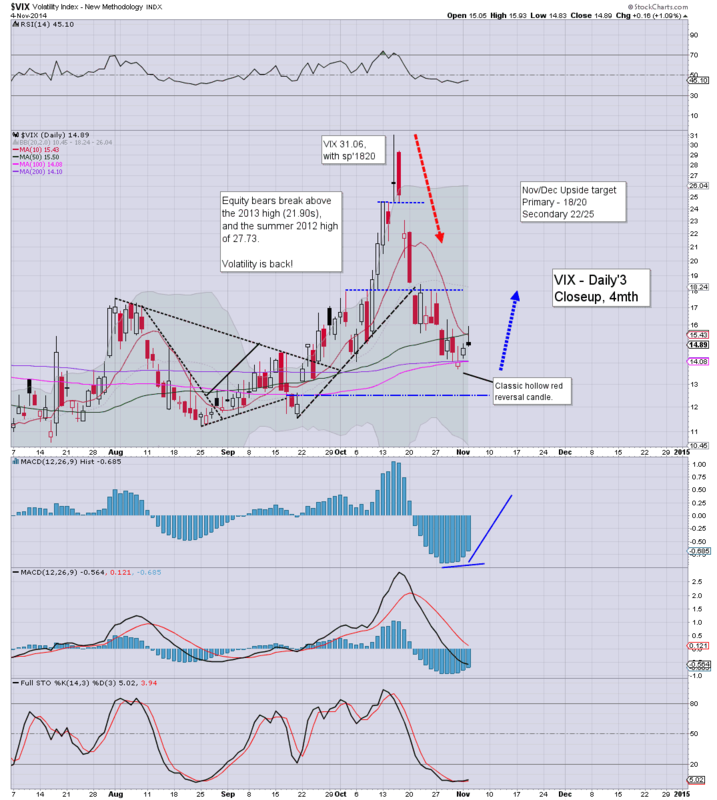 The VIX looks set to turn positive... with a net daily gain. the 15s would be useful... 16s would be far more so! VIX still -1.7%.. but I'd be surprised if we don't see it turn green. 10am update - opening reversal? So.. another day begins.. and we do have another new high in the mighty Dow. Interestingly though.. we do have a lot of black candles on some of the individual stocks out there.. suggestive market is actually going to sell lower from here. *miners bouncing..... GDX set to turn positive.... if briefly. So.. the Republicans do better than even they could have hoped, taking control of the Senate and the House of Rep'. A fair few lately have been touting the 2040/50s.. and if we see 2025 this morning (seemingly likely)... then another 1% higher is very viable. re: metals... not surprisingly, metals are on the slide... Gold is headed for the giant $1000 threshold... and that is going to knock off another 25/35% off most mining stocks. 8.17am.. ADP jobs.. 230k... broadly inline .... indexes u/c on the news.. .sp +12pts @ 2024. 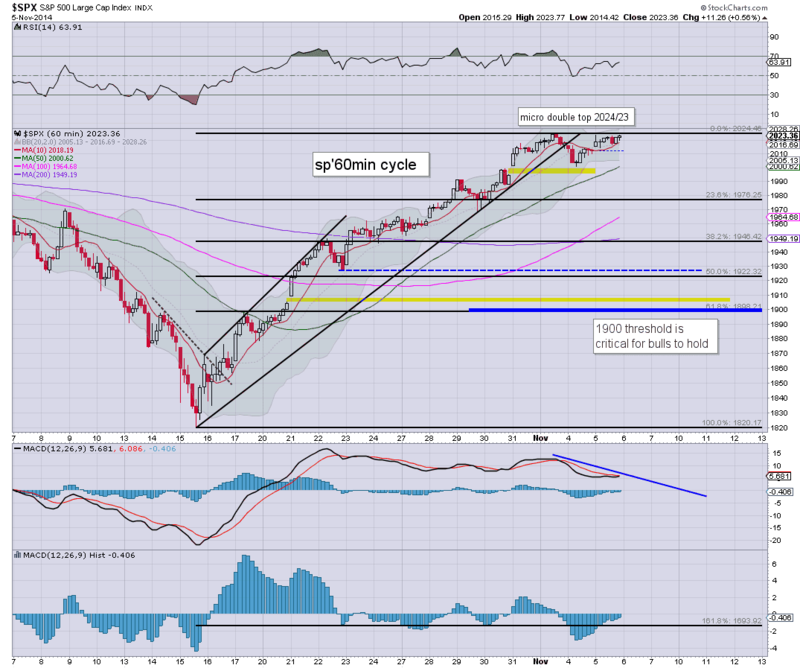 US equities saw a day of weak chop ahead of the US mid term elections, sp -5pts @ 2012. The VIX clawed a little higher, +1.1% @ 14.89 (intra high 15.93). 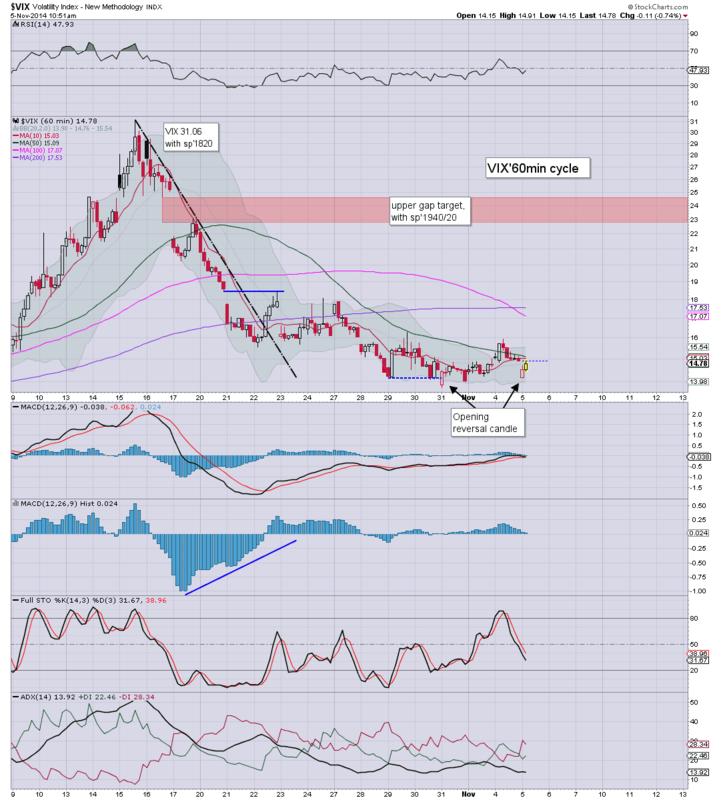 Near term outlook is for a decline to the 1980/70 zone, with VIX 17/18s. Suffice to say, a relatively quiet day in market land. A notable new historic high in the transports, no doubt largely due to the continuing declines in Oil prices. Airlines are literally flying to the moon, with many having soared 40% across just 15 trading days. The US election results will no doubt have an impact. Hard to say.. which way, until results are known. ADP jobs, PMI/ISM service sector. *there are 3 fed officials on the loose.. market will no doubt be listening. Having ramped from 1820 to 2024 (11.2%), even a moderate retrace to the 50dma will do nothing of significance to negate what has happened since mid October. Until we're under sp'1900 (5.6% lower), equity bears should remain extremely cautious. *I continue to hold a minor short-index block, but am looking to drop that on any major daily drop of 1.5/2.0%.